I am very excited about a local florist that I recently discovered. Located in Encinitas, Ali Eli Florals is a full service floral design studio providing modern to traditional arrangements exclusively for weddings and special events. They specialize in creating unique and original floral designs, specifically tailored to each individual client. The constant in all of their events is the finest in materials, craftsmanship and service. Ali Hayward, the designer and owner of Ali Eli Florals has been passionate for design her entire life. Growing up in a family of artists, from crafters to musicians to graphic designers to interior designers to mural artists to sculptors- it was obvious what her future would hold for her. Ali has now come a long way and is proud to say she has developed a delightful, imaginative and creative company specializing in floral design with great emphasis on her artistic abilities and eye for design. What really impressed me about Ali Eli Florals (other then their beautiful designs) is their commitment to sustainable business practices. Ali told me they are always doing what ever they can to be Eco-friendly. They are big on reusable items like vases, ribbon, etc. And they LOVE incorporating vintage items into their work! All of their supplies and tools are cleaned with Eco-friendly soap. They strive to use locally grown flowers when ever possible, which helps cut back shipping, distributing and freight. And, whenever appropriate, they opt for using silk flowers. It's the little things that make the biggest difference! Next time you're looking for a florist in Southern California, I recommend calling Ali Eli Florals! You can reach them at 619.913.4019 or visit their website to learn more. In continuation of our Eco-Wedding Series - My Big Fat Green Wedding - we have a couple important steps to cover today. Choosing THE RING and picking THE DATE! Janine and Ken show us how it's done! The Eco Friendly Ring: Prior to the actual proposal, Janine and Ken knew that the ring not only had to be perfect, but also had to meet their standards for being environmentally responsible. Their choice of stone had to be sourced fair-trade and conflict-free, so they started looking into options of wood and recycled metals. While they did look at some designs by Brilliant Earth, they ultimately wanted something a little more unique and intimate in design; a ring that would be a direct expression of their creative spirit. In came acclaimed jewelry designer, Liza Shtromberg, one of today’s most respected creators of unique, hand-crafted jewelry. Liza worked with the eager couple to take one of her original designs and rework it into something even more spectacular. Not only did she go out of her way to make sure every ounce of her metal was 100% recycled, she also meticulously hand hammered the band(s) to perfection. Her knack for evoking the wonder of nature in every piece she creates is remarkable! Don’t go making your flight reservations quite yet, but the couple is leaning towards saying their “I Do’s” the week of September 18-25th. This date is very dear to their hearts! 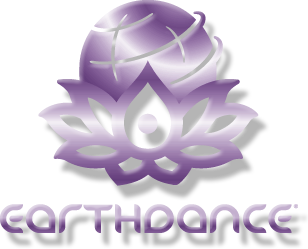 The week of September 18-25th, 2010 is Earthdance week! For all you novices out there, Earthdance is the Global Festival for Peace. Since its inception, Earthdance has been held in over 500 locations in 80 countries with all events simultaneously joining together in the Prayer for Peace - a powerful moment of coherent intention. The couple wanted to make their purpose known and send a powerful message that it’s important to them for humankind to join together in peace and harmony. Each public Earthdance event also gives 50% of their profits to a designated charity that helps promote the Welfare of Children & Youth, Indigenous People and Culture, International Relief and Development, and organizations that help promote peace. With the assistance of Green with Envy Events, and with the ever-present inspiration of Green Wave...Janine and Ken are off to a great start! Stay tuned as we navigate through every step of planning My Big Fat Green Wedding. Next week- Choosing the perfect Eco Friendly Venue!!! You won't want to miss this one! CAN you plan a Wedding by recycling CANS? Why yes you CAN! Today I want to share with you a very inspiring story I just stumbled across. This couple, Pete and Andrea, from Spokane, Washington is attempting a huge undertaking. 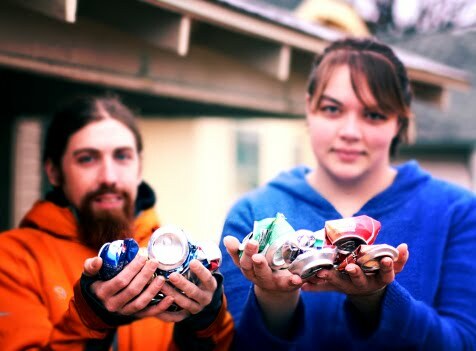 They are trying to pay for their July wedding by recycling 400,000 aluminium cans! They've created a website and have been spreading the word about their Wedding Cans project since December 7th, 2009. As of today, they have reached 85% of their goal. This is a new spin and throwing a "Green Wedding" and I am so impressed!!! Not only are they helping clean up the environment in a HUGE way, they're also planning their actual Wedding day to have as little impact as possible on the earth. With their $4,000 budget (proceeds from the cans), they plan to have a community-centered, homemade celebration of family and friends. They are using compostable dishes, flatware, cups, etc. and will even be making their own wedding attire. The wedding will feature all do-it-yourself decorations and they are even getting their friends and family to help with flowers, photos, and the cake. And get this...they'll be serving homebrew beers! Love it! To learn more and to help them reach their goal, visit their website. I think this is such a creative (and earth-friendly) way to plan your wedding. Pete and Andrea...I wish you luck on reaching your goal and commend you on your efforts! I hope you inspire many more couples to consider the environment while planning for their big day! Show some Green love today! 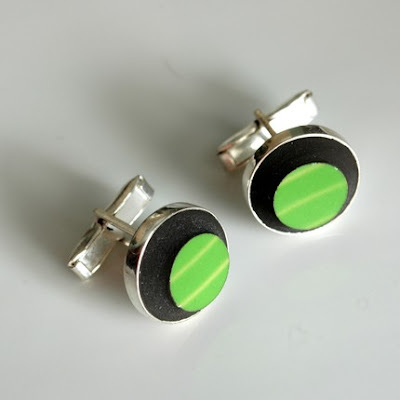 Let your man show his St. Patty spirit while at work in these contemporary cufflinks made out of a recycled plate! Brilliant! 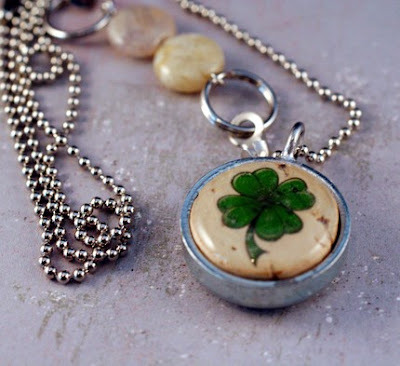 Lucky in Love! Show her you care with this funky necklace crafted from a wine cork and recycled steel auto parts. Love it! 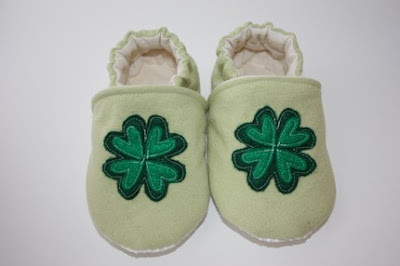 Your baby will be so stylish rockin' these booties! These soft cloth shoes are made from 100% organic cotton fabric and insulated with 100% organic batting…and the decal is made from Eco-felt (recycled plastic bottles!). 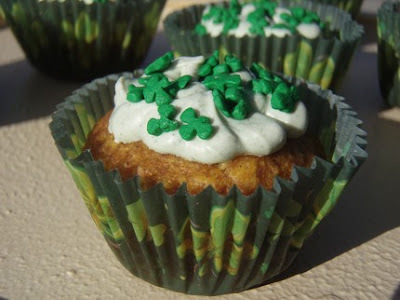 We wish everyone a very happy, and GREEN St. Patricks Day! On Valentine’s Day weekend, just before the Crystal Method’s encore performance at a sold out show in L.A., the lights dimmed and a petite blonde was brought onstage. He dropped to his knees with an "I Love You, Baby"…and before any words were lost upon the raucous crowd, she cried YES. And thankfully, someone caught the proposal on video! Green with Envy Events is so proud to announce the engagement of our dear friends Janine and Ken, two people who inspire everyone around them. They’ve inspired us to embark on a new adventure! Today, we unveil the first of many episodes of The Ultimate Eco-Wedding Project ~ My Big Fat Green Wedding. Ken Jordan, who lives in Los Angeles and Costa Rica, is a member of the electronic band, The Crystal Method. The Crystal Method was a Grammy Award Nominee for best electronic/dance album for both 2005 and 2010 and have been heralded by the Village Voice as “one of the best electronic acts on Earth”. Janine Antoinette Johnson, a San Diego native, is the founder of a non-profit organization, “Green Wave”, which serves to create several initiatives of Eco awareness and collaborates with other charities aimed towards making our earth a better place for current and future generations. Janine founded Green Wave based on Gandhi's iconic quote, "You must be the change you wish to see in the world". Through this mantra she strives daily to set an example to inspire others through Green Wave and in her personal life. She is also Director of ECO for RAW and A Green Girl Guru for TheGreenGirls.com. For personal reasons, Janine and Ken strive to be environmentally and socially responsible in every aspect of their lives. Due to their public/celebrity status, others look to them to set examples, and for such reasons, this wedding will be no exception. Green with Envy Events has teamed up with Janine and Ken to produce the Ultimate Eco-Celebrity Wedding. However, this will not be your average wedding; it will be a 6 month spectacle of Eco experiences leading up to a full week of My Big Fat Green Wedding. We will be documenting the entire step-by-step process through weekly updates on our blog and launching a huge media outreach in hopes to initiate a TV series covering the whole journey! And...Richard Bishop, producer of the Henry Rollins Show, has agreed to be a producer on this potential "show". Join us on our journey through the ups (and downs) of planning The Ultimate Eco Wedding, along with all the comical, stressful, and inspiring moments that come with it. We hope to inspire couples all over the country to consider the earth when planning their big day. Not only will this process bring exposure to hundreds of Green Businesses, it will showcase fun, simple and affordable steps the average person can take towards reducing the overall carbon footprint of their event. There’s never been a better time or a more perfect couple to do this! Now is the time to make a change and show people that the choices they make can make a positive impact on not only their guests, but also our mother earth. Please follow our blog to stay updated on our journey to The Ultimate Eco-Wedding! Isn't it true that a little rain never hurt anyone? While I would normally enjoy splashing through puddles in my galoshes, tasting the drops on the tip of my tongue, and seeing raindrops on roses, today is just simply not one of those days. It's just dark and gloomy and it makes me want to scream 'Rain, rain go away, please come back another day.' But, alas, spring is just beginning and those testy late March and April showers are here to stay (for awhile anyways). So, here's some inspiration to help keep your do in place in the greenest of style. 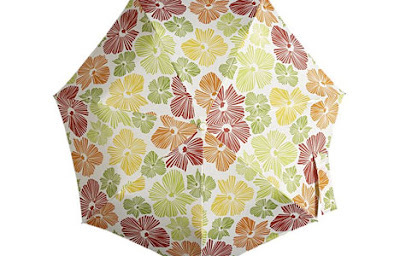 With a 100% recycled cover, sustainable metal frame and a hemp strap, this Totes eco-umbrella, sold exclusively at Crate and Barrel, is sure to keep your spirits up while wishing for those spring blossoms. And at $19.95, the price can't be beat! 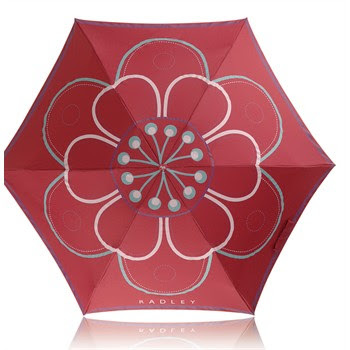 Radley of London, known for their brilliantly patterned umbrellas, which are made with fabric derived from recycled materials, are sure to steal the show. Each umbrella comes with a matching, printed case that can be clipped to the outside of your bag, so in case of a sudden downpour, you are well prepared. And with these funky, cool designs, they are sure to liven up everyone's day! 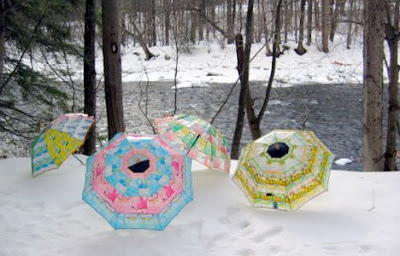 Each of Monsoon Vermonts trash-to-trashion umbrellas are really unique and one-of-a-kind. These wet-hair savers are sewn together, in a collage style, from non-recyclable plastic trash that is removed from Jakarta's streets, landfills and waterways. The edges of the umbrellas are lined with silk fabric, and the handles and tips are made from native Indonesia wood. Talk about recycled art! 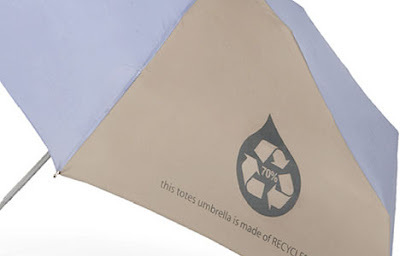 The Totes, fashionably name Eco-brella, with a canopy made from recycled plastic bottles and a frame made from 70% recycled aluminum and steel, is sure to make head turns. And if your desire is to display your devotion to mother earth, there's a recycling logo stamped on the fabric as well. And if there were to be a queen umbrella, this one, manufactured by Brelli, would indeed be the Queen Bee of them all. 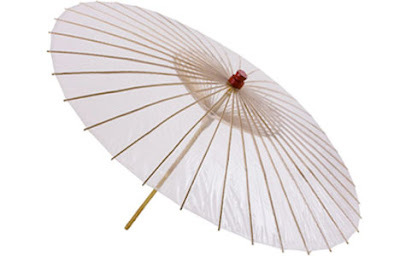 Known as the world's only biodegradable umbrella, the frame is made from bamboo, a renewable resource, and features a unique, patented, biodegradable PVC clear canopy. And, if you are ever to give it the boot, it takes a fraction of the time to biodegrade than a conventional umbrella, without releasing any toxic gases into the atmosphere. Many of us feel it. It’s happening all around us. 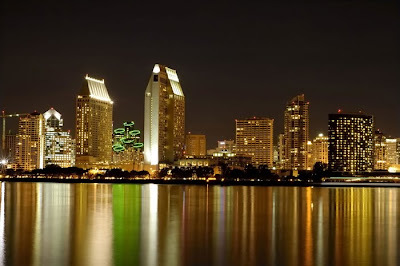 The opportunity to become a part of something larger than ourselves, to have a truly positive impact; the chance to take our business and San Diego in a new direction. It's time to cut through the buzzwords and chart a course. Developing a sustainable business strategy makes good business sense, not only to a company’s bottom line, but to employees, partners, and the community at large. 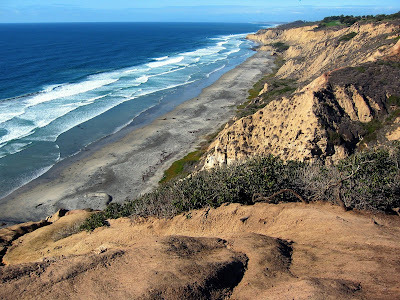 Well look no further, the new Green Chamber of San Diego County can help you get there! This innovative organization is a place where you can meet others who share your interests, find myriad opportunities to grow your business, and gain the satisfaction of promoting sustainable economies in San Diego County. Their mission is to empower businesses and communities by creating environmentally-friendly, sustainable business practices. I am very proud to announce The Green Chamber of San Diego County's Kick off Event ~ "Green is Everyone's Business" on Tuesday, April 13th, 2010 at The Belly Up Tavern in Solana Beach. This monumental occasion is shaping up to be a very special evening, packed with plenty of networking opportunities, entertainment, education, and lots of Eco-surprises. Check out the flyer for more information...and make sure to buy your tickets soon! It's only $10.00. And in the spirit of Green, why not ride the Coaster to the party! Green with Envy Events is becoming a member of The Green Chamber, and we encourage you to do the same. Whether your business is already Green or is just starting to move in that direction, everyone is welcome at The Green Chamber. Click here to learn about membership...because Green IS Everyone's Business!!! I am very excited and proud to be working on this event, and I hope to see you all there! Earlier this week I attended an Eco-Bridal event at the delightfully green stationary boutique - Copper Willow in Culver City. Guests enjoyed an interesting mix of cupcakes and champagne, Eco-fashion and repurposed jewelry, and other Eco-surprises. But by far the highlight of the evening for me, was an unexpected blast from my past...The S'more. Who doesn't love this perfect combination of graham crackers, chocolate and marshmallows? 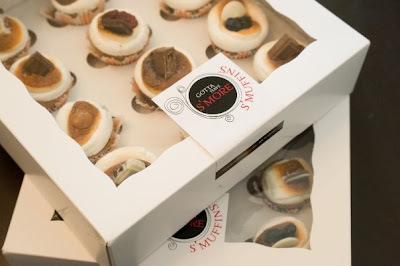 Founder and CEO of Gotta Have S'more, Carmen Lindner was at the event offering a gorgeous array of her To Die For S'MUFFINS! I know...how cute is that? We shared stories of starting our own businesses, and I loved the fact that she had no baking experience...but just a brilliant idea. Her story is an inspiration to anyone who's thought of taking a risk and following their dreams. Gotta Have S’more isn’t your typical dessert company. 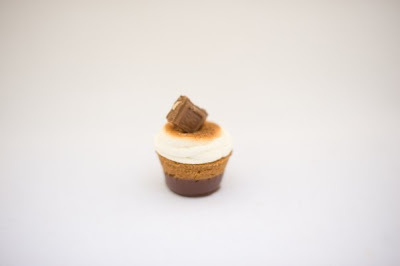 The classic S’more has evolved into the S'muffin - A perfect little dose of pleasure! I finished mine in 3 bites - the perfect size and shape to satisfy a sweet tooth (whether you knew you had one or not). They come in a variety of delicious flavors like caramel, cookies n' creme, dark chocolate, peanut butter, and much more. And the marshmallow on top is perfectly toasted, just like you used to do it around the campfire! Not only are they insanely yummy, they offer a charming and truly unique presentation. 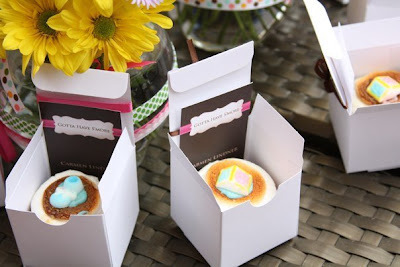 I love the idea of giving (or receiving) a box of these treats. Whether you want to have a conversation-starter for your next meeting, or give an interesting gift to clients, teachers or friends, they offer the perfect dozen, 4 pack or even single boxes. And it doesn't stop there. Say goodbye to the cheesy heart-shaped box of chocolates from the past and show your love with a dozen Valentine's S'muffins! 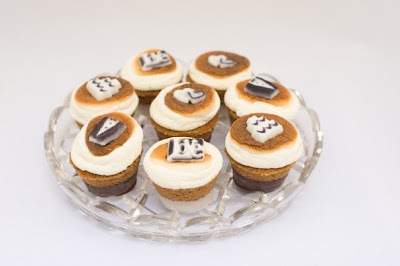 How cute are these Wedding themed S'muffins? Think outside the Wedding cake...and offer your guests a delectable surprise in honor of your love! 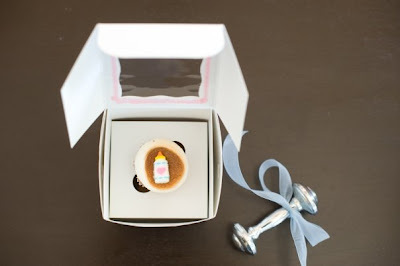 Are you looking for a one-of-a-kind favor to give your Baby Shower guests? 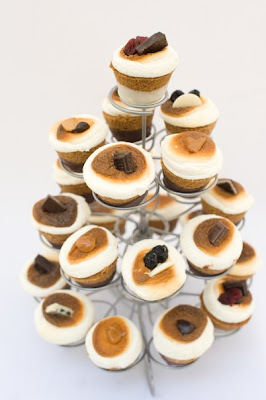 S'muffins are favors that your guests will be excited to get! Each comes individually wrapped in a pretty box with a display window. How sweet are these? 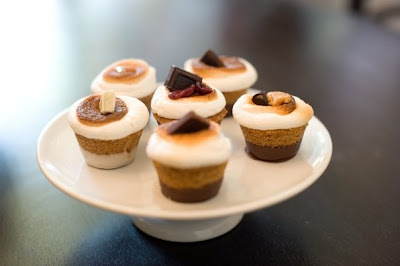 Gotta Have S'more is located in Los Angeles, and S'muffins are available for purchase at Platine Cookies at 10850 Washington Blvd in Culver City. Currently they are only available for delivery in Los Angeles County, but very soon they will be shipping nation wide! You can reach them at 888-95-SMORE or visit their website to learn more. I'm looking forward to my next S'muffin....cause I GOTTA HAVE S'MORE!